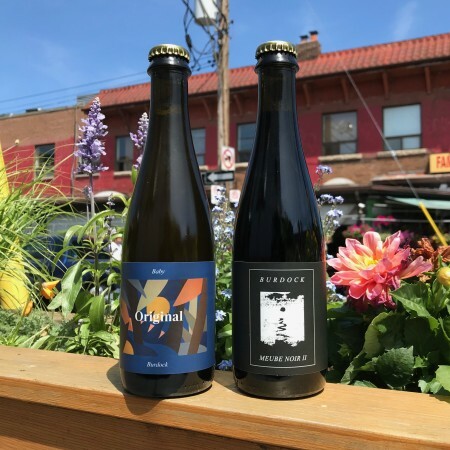 TORONTO, ON – Burdock Brewery has announced the release of two new limited edition beers. Sour, dark and wild, this stout was barrel aged with cabernet franc skins for 1 year and bottle conditioned for an additional 7 months before release. Drinks like tart cola and light red wine, see: kalimotxo. This is one of our best vintage brett saisons to date. Baby OG has also been bottle conditioned for 7 months. We’ve found that our brett saisons really hit their sweet spot with half a year of cellaring, they mature in to bright, effervescent silken delights. Both beers are available now in 375 ml bottles at the Burdock retail store while supplies last.